How we entered the “second golden age” of TV | What Hi-Fi? As cinema ticket sales continue to decline—2017 saw the worst ticket sales in over two decades in the US—television sales continue to grow. 4K technology, once the preserve of TVs costing tens of thousands of pounds, is now accessible to the masses. That's thanks in part to economies of scale at manufacturing and retailers like AO.com, which have pushed down prices alongside free next day delivery on TVs. But it’s content that’s truly given TV a second wind. The Wire, which launched on US network HBO in 2008, redefined the medium. Indeed, just two episodes in to its first season in an early scene that for lesser shows would be a throwaway moment, a 90-second conversation about the origin of chicken nuggets and its inventor touches on both the inescapable inequalities of capitalism and the naivety of youthful ambition. It’s a scene that defines the entirety of The Wire’s five season, 60 episode run, a call-to-arms for screenwriters, producers and directors that said smart dialogue and complex ideas needn’t be limited to Hollywood productions on the big screen. What began with The Wire and its HBO stablemate The Sopranos quickly spread. Sprawling narrative arcs, intricate themes and complex characters that were once deemed too demanding for the light-entertainment focus of TV are now commonplace in critically acclaimed shows like Game of Thrones, Westworld and—arguably the greatest TV show of all time—Breaking Bad. The so-called “second golden age” of TV—the first being the birth of the medium in the 1950s—has shown little sign of stopping, thanks in part to growth of streaming services like Netflix and their seemingly limitless reserves of cash to throw at new ideas. As Ian Leslie noted in the FT, the second golden age of TV was as much to do with the death of the first as it was an influx of creative ideas. “The US TV industry had been dominated by NBC, ABC and CBS (the ‘big three’ were joined by a fourth, Fox, in 1986)”, wrote Leslie. “The broadcasters had a template for storytelling that they expected writers to adhere to.” Shows had to be shaped around ad breaks. Each episode of a show had to be self-contained so they could be aired out of sequence and so viewers could dip in and out with ease. But as the popularity of DVDs and DVRs grew, and viewers began to watch TV on their own terms, ad-funded TV began to suffer. Though its viewership was small at the time—and its broadcasts a mix of old movies, repeats and wrestling—HBO was funded by subscriptions. This gave it the flexibility to take risks on shows like The Sopranos, The Wire and eventually Game of Thrones, to critical acclaim. Its success has spawned many imitators, not least the likes of Netflix and Amazon which pour their subscription revenues into new programming (Netflix spends eight billion dollars a year on making new shows). Today’s TV combines a Hollywood, filmic aesthetic with expert writing in a way that audiences of 20 years ago would have killed for. Game of Thrones. Stranger Things. Westworld. These are just three examples—adding up to nearly five days of awesome entertainment all on their own—of TV shows that take on Hollywood at its big-budget game and win. Game of Thrones alone costs a whopping $15 million an episode to make. And that’s just drama. Fancy a chuckle and you’re looking at smash hits like Unbreakable Kimmy Schmidt, Netflix’s ace comedy about the girl next door who spends 15 years trapped in a bunker then rampages through New York making up for lost time. There’s Brooklyn Nine-Nine, a sitcom of such epic popularity that when Fox decided to stop making it, it took less than a day for a rival network to snap it up. While DVDs and DVRs kickstarted the growth of modern TV—with streaming services growing it further—the technology of TV has played its part too. Image quality has improved beyond all recognition in the last 10 years, with 720p HD Ready resolution morphing into 1080p Full HD and now into 4K HDR (officially known as UHD). 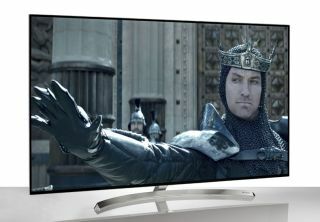 OLED TVs, which allow for true blacks due to the way each individual pixel can be turned off, make TV look incredible. And, with wider and wider acceptance of modern TV tech, TVs are getting cheaper. Take the LG OLED55B7V, for example, a 4K, OLED, smart TV that costs under £1,500. Modern TV tech isn’t just about more pixels and deeper blacks. Westworld might have gathered two million viewers when it aired in the United States, but another million watched it on HBO’s streaming services. Yet more are watching it on-demand on Sky’s catch-up platform, Now TV. Netflix’s on-demand-only model further challenges traditional TV viewing. Gone are the days when you hopefully prodded the remote control and hoped you were going to catch something other than Blankety Blank. Now, viewers can binge their way through entire TV shows (though the jury is still out on whether instantly available box sets are good for the medium in the long term). LG’s OLED TVs—visit the AO.com website to find out more—connect directly to the internet and allow you to watch TV from next-generation platforms, as well as catch-up services. No games consoles, no extra kit to plug in, just a quick wireless internet connection and you’re away. With the “second golden age” of TV still very much in full swing, investing in the unsurpassed picture quality of an OLED is an absolute no-brainer. LG’s 4K, OLED TVs are available in 55-inch and 65-inch variants. Both are available from AO.com.